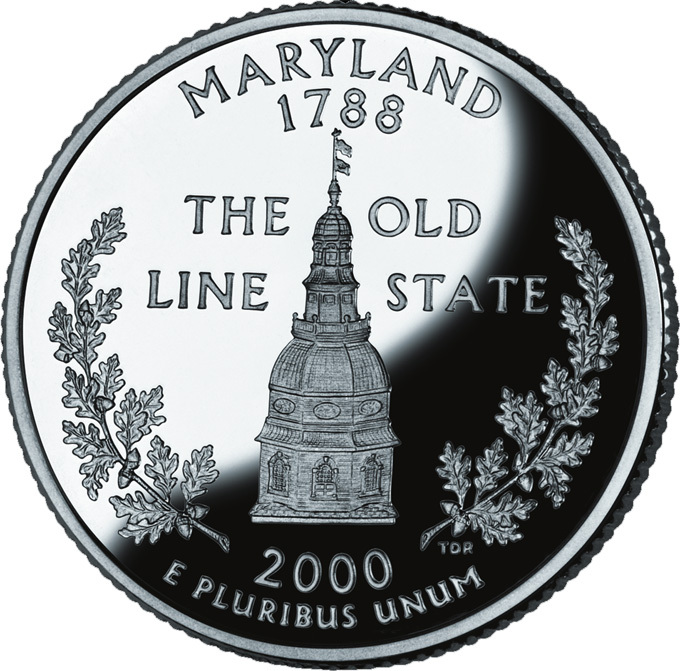 The U.S. Mint's bicentennial commemorative quarter for Maryland features the dome of the State House in Annapolis; white oak clusters (state tree); and the state nickname: "The Old Line State;" Maryland became the 7th state in 1788 (public domain image on Wikipedia). According to some historians, General George Washington bestowed the name "Old Line State," associating Maryland with its regular line troops (the Maryland Line) who served courageously in many Revolutionary War battles. 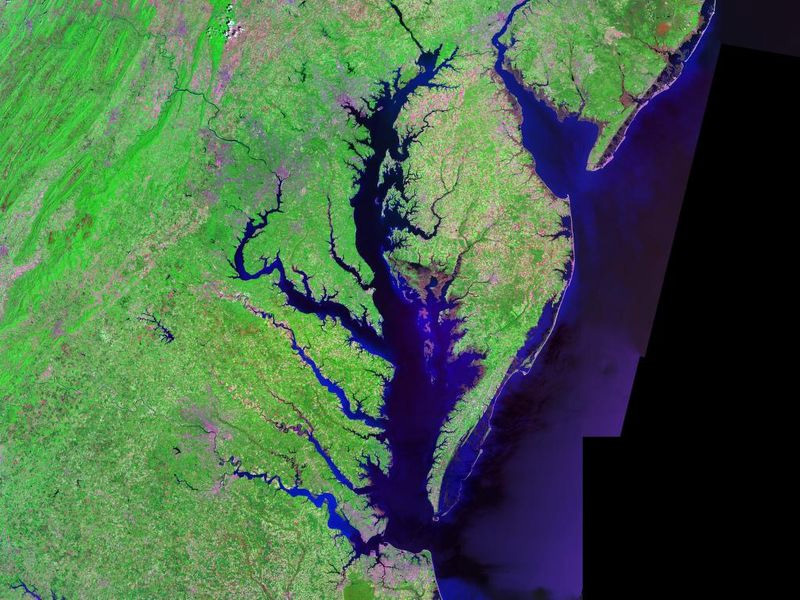 The Chesapeake Bay; the largest freshwater es tuary in the world (and the largest physical feature in Maryland) - Landsat; public domain photo by U.S. gov. on Wikipedia. 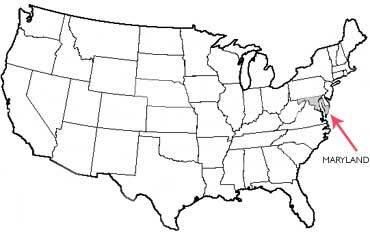 The state of Maryland USA (public domain image).